Your liver is a pretty incredible organ. In fact, you can’t live without it. One of the most important things your liver does is filter harmful toxins, like alcohol and drugs, from your blood. Your liver also produces bile (a substance needed to break down fats), stores vitamins, minerals and sugars, breaks down old blood cells, and performs a number of other tasks needed for life. That’s pretty impressive! In fact the liver is so important that our body keeps it protected, tucked away on the ride side of our abdomen behind our ribs. As you can imagine, with all that the liver does, we put that tough organ through a lot in our lifetimes. Between the alcohol, the medications, household cleaners (especially aerosol sprays), pesticides, and herbicides, most of our livers are working overtime. 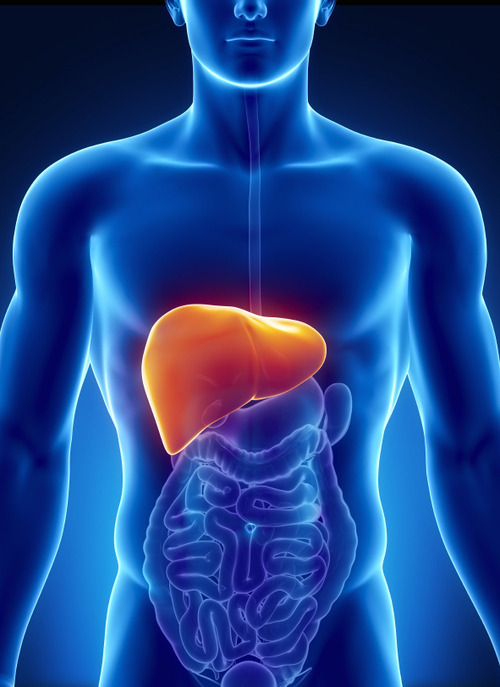 It’s no wonder that more than 30 million people in the U.S. have liver disease. However, simply eating poorly affects this vital organ. According to the American Liver Foundation, up to 25% of Americans may have non-alcoholic fatty liver disease, or NAFLD. NAFLD tends to develop in people who are overweight, have diabetes, high cholesterol or high triglycerides. Rapid weight loss may also lead to NAFLD. Click here to learn how to InsideTracker can help you manage your liver health biomarkers today. Alanine aminotransferase (ALT) is an enzyme primarily found in the liver; it plays a role in changing stored glucose into usable energy. When the liver is not functioning well, ALT can enter the bloodstream. Aspartate aminotransferase (AST) is an enzyme primarily found in the liver. It is also found in the heart, muscle tissue, kidneys, brain, and red blood cells. AST helps to metabolize amino acids, the building blocks of proteins, which help provide you with more energy, digest food more effectively, and make you feel stronger. When the liver is not functioning properly, AST can enter the bloodstream. Gamma-glutamyl transpeptidase (GGT) is an enzyme that is concentrated in the liver, and is also found in the bile ducts, pancreas, spleen, and kidneys. GGT helps to transfer amino acids across the cell membrane, and plays an important role in helping the liver metabolize toxins. Again when the liver is not functioning well, GGT can enter the bloodstream. While some of these biomarkers are found naturally in the blood, elevated levels of any of these biomarkers indicate liver damage. Keep off the heavy weights for one week before your blood test. This is particularly important for individuals who do not regularly practice intense resistance training. Research suggests that individuals accustomed to moderate physical activity, but not to performing intensive muscular exercise on a regular basis, may have significantly increased liver function for at least 7 days after weightlifting. Do not drink any alcoholic beverages within 24 hours of a blood test. Not even a little bit. Even a small amount of alcohol can cause GGT blood levels to increase. Smoking and medications like antidepressants, NSAIDs, and hormones such as testosterone, can also increase GGT. Start tracking your biomarkers with the new Ultimate Plan from InsideTracker today.